ExxonMobil is struggling to cash in on America's oil boom. The largest US oil company revealed on Friday that it pumped 7% less oil and gas around the world last quarter. It's a reflection of how Exxon was late to capitalize on the shale revolution in its own backyard. Exxon's (XOM) profit climbed by 18% to $3.95 billion. However, that widely missed expectations and is well shy of the spiking earnings that many of its smaller, more nimble peers are enjoying thanks to soaring oil prices and aggressive production. Shares of Exxon dropped 4%, continuing their recent struggles. 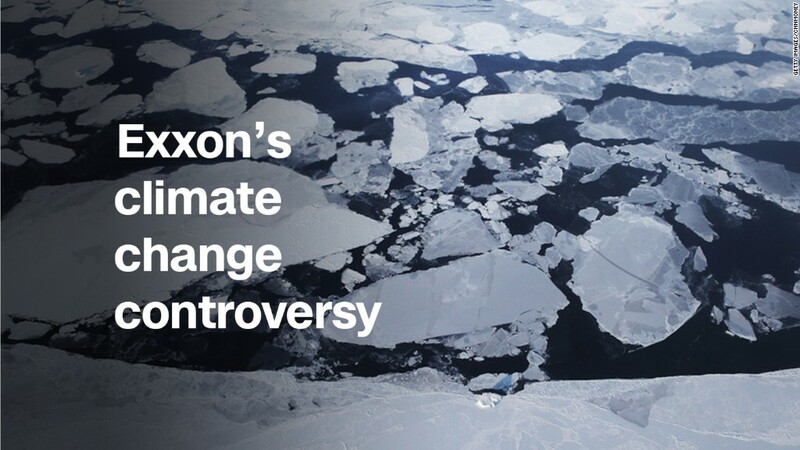 "Exxon's production was very, very weak. It's been declining virtually nonstop. A 7% decline is really quite extreme," said Pavel Molchanov, an energy analyst at Raymond James. Chevron (CVX), Exxon's biggest rival, revealed on Friday that its profits more than doubled to $3.4 billion thanks to higher oil prices and a 2% increase in production. "You've got Exxon shrinking and Chevron growing. That's a massive gap," said Molchanov. Exxon's latest results may not be enough to restore investor confidence in a company that remains in a deep slump. Its production has declined in eight of the past nine quarters even as the United States pumps more oil than ever before. "This quarter was a low point," Neil Chapman, Exxon's senior vice president, said during a conference call. The steepest declines came in Europe, where Exxon's natural gas business has been stumbling. Production there plunged 30%. Exxon said it's also intentionally cutting back natural gas production in the United States to "pivot" toward oil. That decision reflects depressed natural gas prices and underscores the damage done by Exxon's 2010 purchase of natural gas producer XTO Energy. Another problem for Exxon: scheduled and unscheduled maintenance sidelined operations, including some incidents at its refineries. "We are not happy about it. We're all over it," Chapman said. The good news for Exxon is that it's now investing heavily in shale -- and it's starting to see some results. Exxon said its production in the Permian Basin of West Texas and Bakken of North Dakota soared 30% last quarter. And it's rapidly adding oil rigs in the Permian, America's largest and fastest-growing oilfield. CEO Darren Woods is also attempting to jump-start growth by plowing billions of dollars into expensive projects in South America, Africa and Papua New Guinea. Progress in those overseas projects, as well as in the Permian, "are positioning us well" to meet long-term growth targets, Woods said in a statement. But investors are losing patience with Exxon as its rivals focus on returning cash to shareholders through massive buybacks. Exxon scrapped its buyback plan in early 2016 as oil prices crashed. Even though Chevron's soaring earnings missed expectations, the No. 2 US oil company revealed plans to launch a share buyback program. Chevron said it anticipates repurchasing $3 billion of stock per year.